The DW-NEXUS16-10TB is a network video recorder which is made by Digital Watchdog with cutting edge technology to deliver high performance and reliability. The DW-NEXUS16-10TB NVR is equipped with many features including 16 channels of IP camera recording, 2-way audio, automatic backup to external and internal devices, removable HDD bays, plus HDD field upgrades and a DVR health check. The DW-NEXUS16-10TB also features multiple levels of security access, remote configuration and operation, an E-mailing service, Hardware watchdog, as well as DVS which enables for reviewing of the recorded material for any tampering which allows for a more secure system. 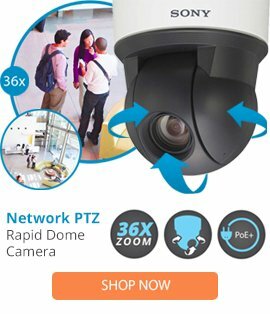 This NVR is ideal for most applications with its compact design and comes complete with additional support for most major brands of IP cameras which allows for a more versatile surveillance system setup which can save time and money.